Looking For Printed Promotional Wooden Pencils At A Budget Price? 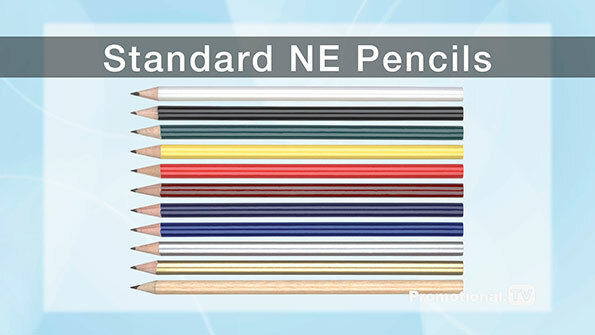 Then take a look at our range of standard pencils without erasers. Available in 11 popular colours with straight cut ends. In a hurry? Then take advantage of our 3-day express printing service for single colour printing only. Need multi colour printing? No problem, we can do that too. All pencils with multi colour printing are supplied unsharpened, however, we do offer a sharpening service at additional cost if required. Now have a look at all the colour options! Gold, Silver, Green, Natural, Yellow, Burgundy, Dark Blue, Red, White and Medium Blue.